Emergency never knocks or send newsletter before its arrival. An employee/student can face the emergency situation at any moment in the institute. So it is necessary for institutes and organizations to be ready always to face an emergency with ease. Emergency contact form templates can be the best option in dealing with the emergency. 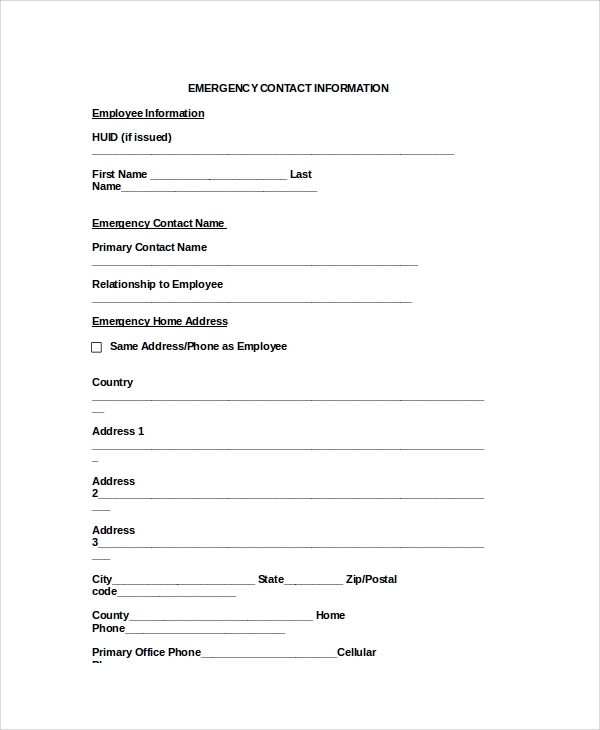 The emergency form allows the HR staff in collecting Contact Forms details of employees whom they can inform about his/her emergency situation. Also, the template allows collecting medical information of the employee/student and where to take him/her for treatment in case of an emergency. 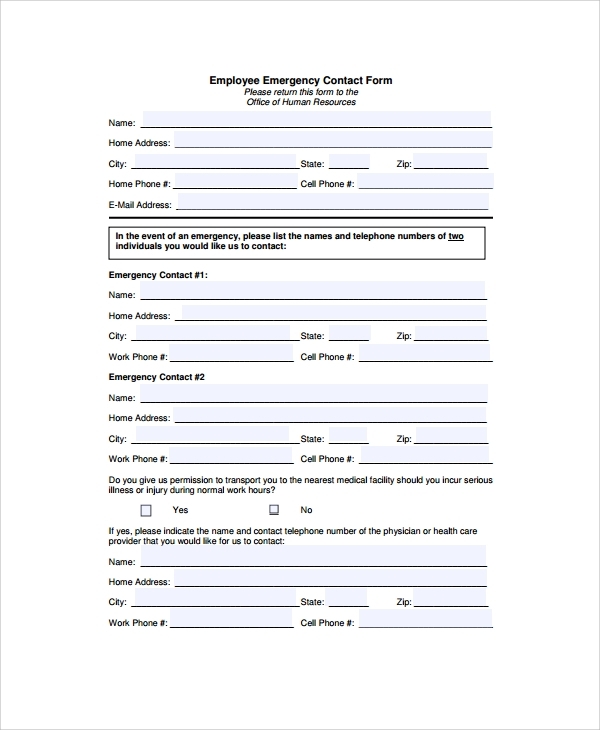 Download employee emergency form template and customize it for official use. It is a print ready word file that allows easy logo integration. 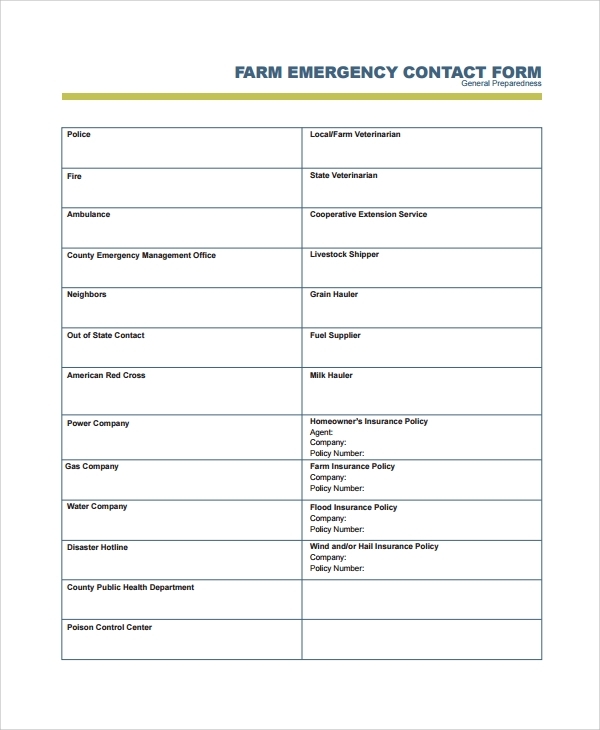 Take a print and ask your employees to fill emergency contact details for future use. Also, it has spaces to fill out particular physician/hospital details to be used in an emergency. 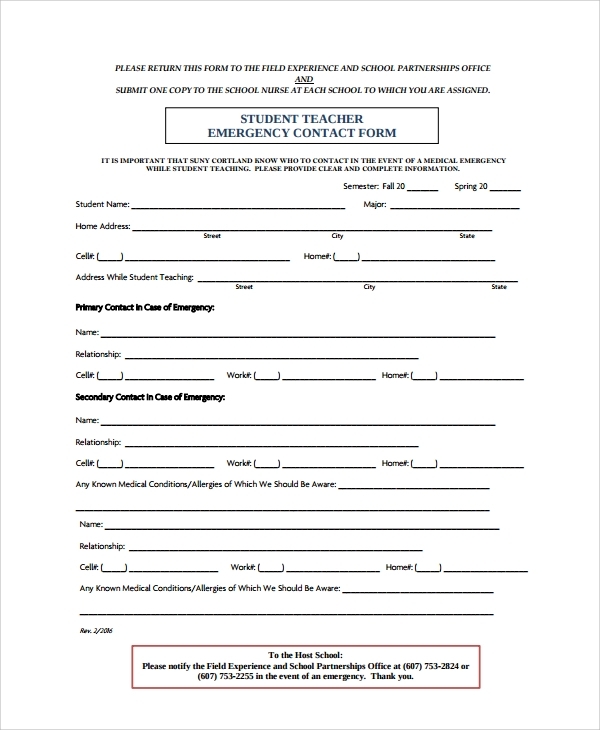 School emergency contact form template is a print ready document for school/university use. You can fill up to two emergency contact details including address, phone contact, name, relationship, etc. 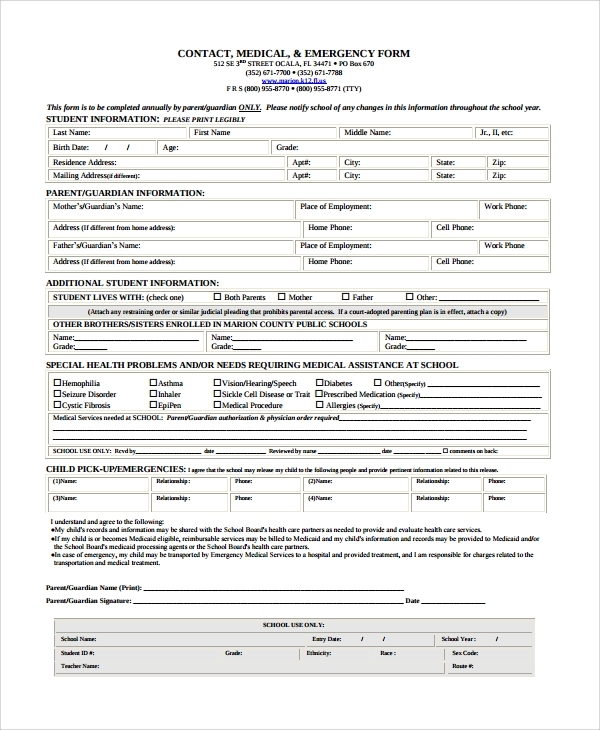 Also, the form allows you to collect information about any known disease/allergy of any student. Use Ms-Word file for customization. 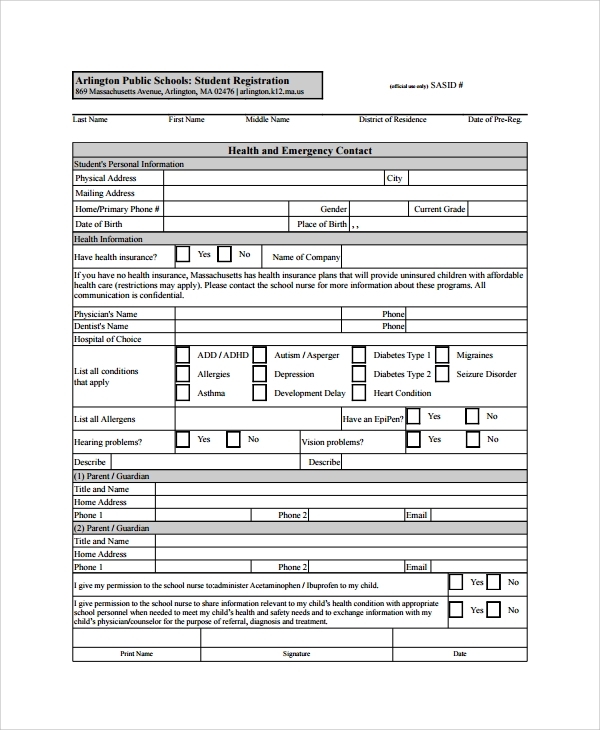 School emergency form template is a detailed form sheet that can be used as a document to collect emergency contacts and health condition details of a student. It includes separate fields to write the student’s information, medical status, guardian/parent’s details, etc. Make it an official document by replacing logo and institute name. 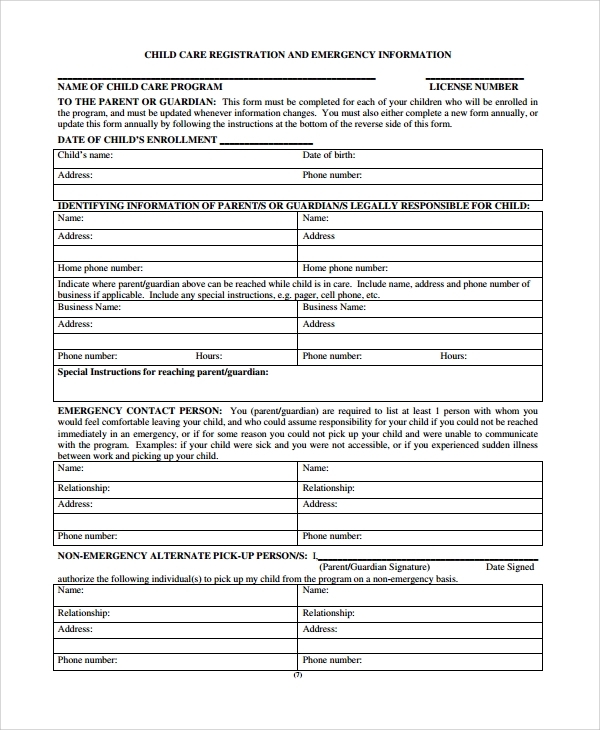 The child care emergency contact form is a print ready document used for collecting emergency details of a child. The details include the child’s details, parents/guardian’s information, emergency and non-emergency contact details, etc. The last section covers signature of parents/guardian with the date. Our templates are available in PDF and Word documents. It offers easy customization and editing features to customers. You can convert this form into an official document by using Ms-Word. Our templates work fine with both old and new versions.